Super heroes - they're a privileged class. Doing what they want, when they want, and never facing the consequences. They have no regard for the ordinary people left behind to suffer in their wake. Who will stand up for the little guy? 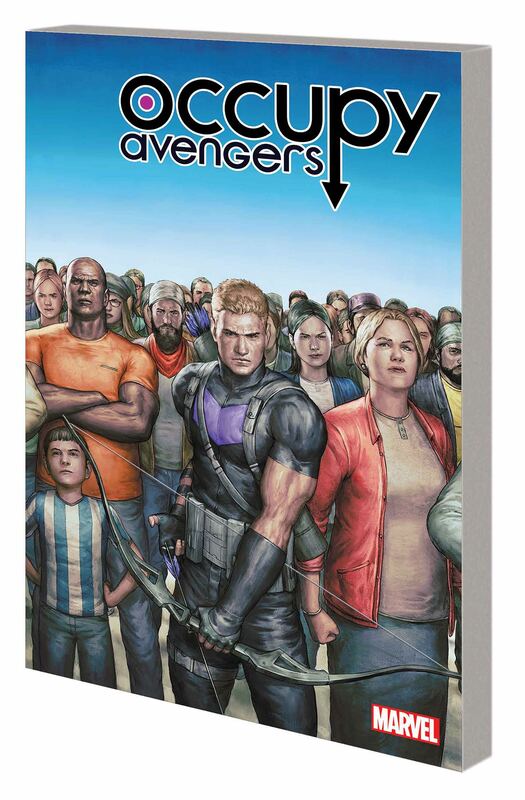 Clint Barton, the original Hawkeye, will! Clint doesn't look for trouble, but trouble keeps finding him - and he'll quickly drag Red Wolf and Nighthawk into his street-level heroics, as well! But what happens when Nick Fury - the original Nick Fury - arrives on the scene? Isn't he dead? If so, someone who looks a lot like him is out to kill Clint and his renegade team! What's going on, and can Clint keep his eye on the ball while dealing with spymasters and sabotage? Plus: Relive Red Wolf's classic debut! Collecting OCCUPY AVENGERS #1-4 and AVENGERS (1963) #80-81.